Summary: Sevea is a growing SME and excellent IT tools are essential to help us meeting our targets and developing our future. Sevea is using internal cloud based collaboration service such as Office 365 (using Microsoft Teams, OneDrive, Sharepoint) and Podio (Intranet, CRM, Recruitment, HR Management, etc.). 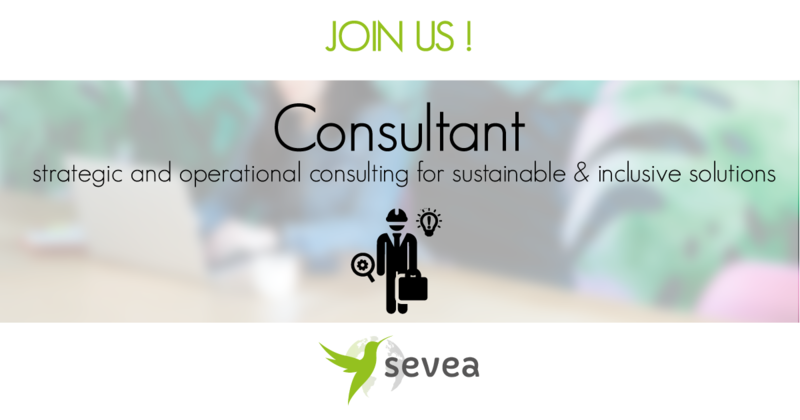 Sevea Consulting is a team of passionate consultants dedicated to support all the actors (corporates, organizations, governments and SMEs) of the development sector in their initiatives/actions. From creating innovative programs, conducting sectorial studies, mentoring entrepreneurs or acting as expert in national development projects, we develop services and coordinate projects to find the best answers to tackle energy, water and rural development issues in emerging markets. After 7 years of experience in developing countries, Sevea is today supporting projects all around the globe mainly in South East Asia, in Africa, and Oceania. Sevea is a growing SME and excellent IT tools are essential to help us meeting our targets and developing our future. Sevea is using internal cloud based collaboration service such as Office 365 (using Microsoft Teams, OneDrive, Sharepoint) and Podio (Intranet, CRM, Recruitment, HR Management, etc.). This role provides an excellent opportunity for an enthusiastic and innovative IT young professional to help deliver, support and manage these internal IT Tools and all employees in the company with IT support. It will be important to keep up-to-date on modern IT services.